The fight against breast cancer is a little stronger after a local group nears the $1 million donation mark. 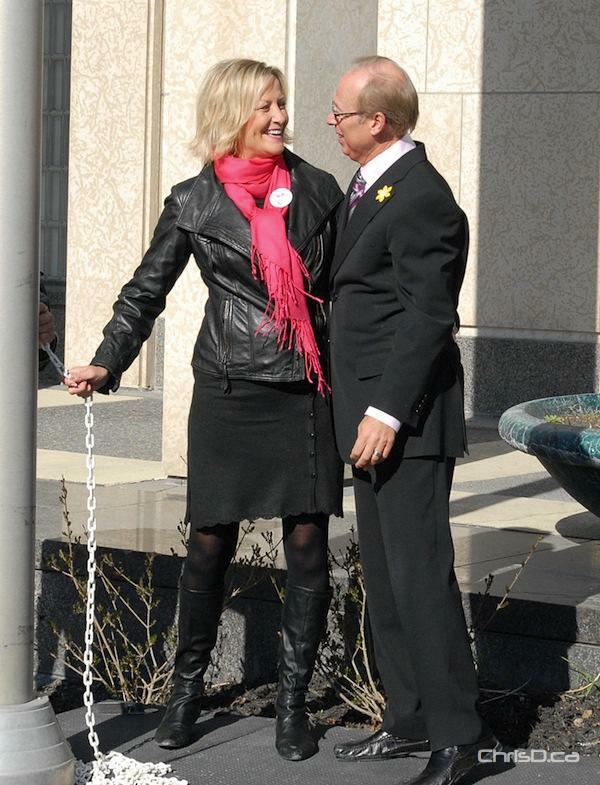 Keeping Abreast raised a flag Thursday morning at Winnipeg’s City Hall to honour their efforts over the past five years. Founder Jackie Stephen and a group of friends founded the fund in 2007 after Stephen’s breast cancer experience. More than $875,000 has been raised to date, but will surpass the lofty $1 million mark at the annual Keeping Abreast event on May 2 at the Delta Winnipeg. Funds raised to go support breast cancer reconstruction surgery research and education through the Health Sciences Centre Foundation.